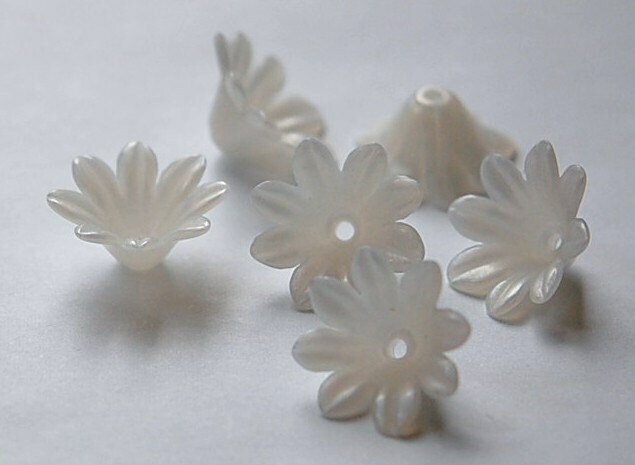 These are vintage plastic flower beads. 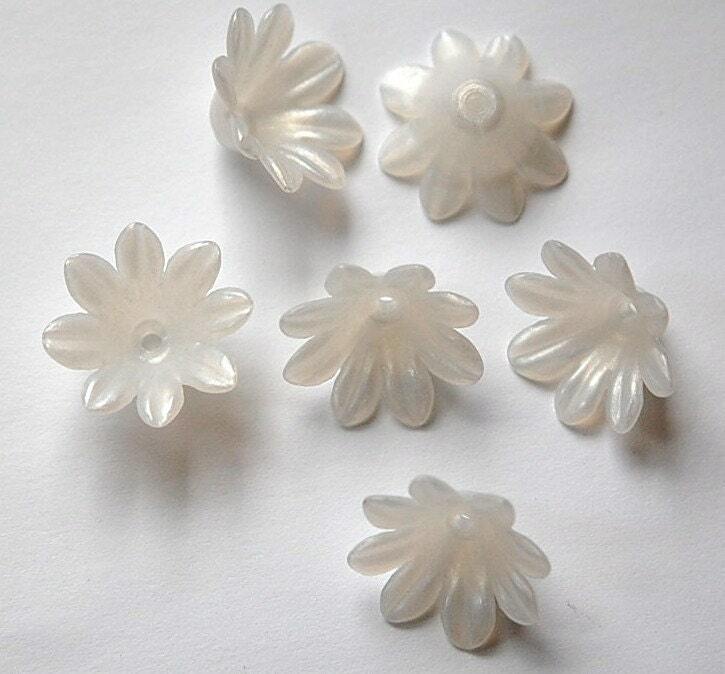 They are a pearl white color. These are cupped with a center hole. They measure 20mm wide across the top petal to petal tip X 7mm deep. You will receive 6 pieces. So cute and nice quality too--thank you! Very different very pretty thanks! repeat customer - great seller!! !